Some users report that adding a plist DOCTYPE declaration causes the launchd operation to fail, despite it passing the lint check. We suspect it's a copy-n-paste error. The md5 checksum of a file containing the above snippet is d925f05f6d1b6ee5ce5451b596d6baed. 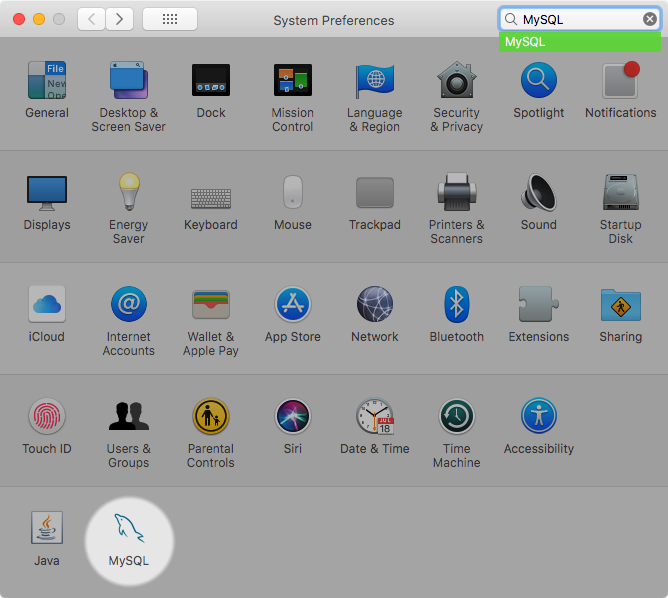 Open macOS system preferences and select the MySQL preference panel, and then execute Start MySQL Server. 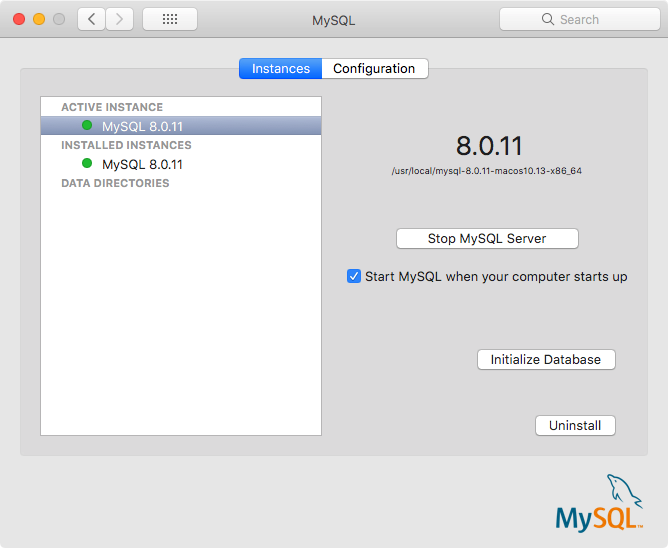 The Instances page includes an option to start or stop MySQL, and Initialize Database recreates the data/ directory. Uninstall uninstalls MySQL Server and optionally the MySQL preference panel and launchd information. Also, upgrading will replace your existing launchd file named com.oracle.oss.mysql.mysqld.plist. The plist entries override my.cnf entries, because they are passed in as command line arguments. For additional information about passing in program options, see Section 4.2.4, “Specifying Program Options”. In this case, the basedir, datadir, plugin_dir, log_error, pid_file, keyring_file_data, and ﻿--early-plugin-load options were removed from the default plist ProgramArguments definition, which you might have defined in my.cnf instead. The doctype line was incorrect on my pkg install for mac. I compared it to another plist file in the same directory and was able to fix it by modifying the section "Apple Computer" to simply read, "Apple".